Susan Moen, M.D., of Stillwater, Minn., began practicing as the Brainerd Lakes Area’s only hand surgeon at the Minnesota Center for Orthopaedics in September 2016. She diagnoses and treats all problems related to the different structures in the hand, wrist, and elbow. An Orthopaedic Surgeon who has additional training in surgery of the hand, Dr. Moen cares for problems without surgery and is specially trained to operate when necessary. She is also an expert in diagnosing and caring for wrist and elbow problems. A graduate of Creighton University School of Medicine in Omaha, Neb., Dr. Moen completed a Fellowship in hand surgery at HealthPartners Institute for Education and Research in St. Paul and an orthopaedic surgery residency at Summa Health Systems in Akron, Ohio. 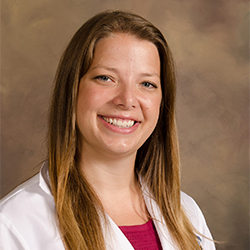 Dr. Moen earned her Bachelor of Arts degree in chemistry with honors at the College of Saint Benedict in St. Joseph, Minn. She is a member of the American Academy of Orthopedic Surgeons and a candidate for membership in the American Society for Surgery of the Hand. Dr. Moen is the recipient of numerous academic and research awards and has made several presentations. Outside of her practice, Dr. Moen enjoys rowing, swimming, running, waterskiing, documentaries, travel and Olympic Parks.